Almost every business these days needs a mobile version of their website. It’s essential after all: one design for the iPhone, several designs for the ever increasing number of Android devices, the iPad, Kindle, and moreover all screen resolutions must be compatible, too. In the coming years, we’ll likely have to design for many more new inventions. When will this insanity stop? It won’t, of course. We’re quickly getting to the point, where we’re unable to keep up with the endless new devices. For most, it is impractical to build a website version for each resolution and each new device. Should we choose to ignore certain devices and go with the devices which give us more visitors even though we’re missing out on the market from the devices we ignore? Do we have a choice? There’s been a lot of pressure on web development to respond and adjust accordingly to the prevalence of mobile browsing from devices like laptops, tablets, and smartphones. At first, the best solution seemed to be creating multiple stylesheets for different screen sizes. Now, a single stylesheet can service a site on multiple devices, with responsive design. Less code to look after. Responsive design removes the need for serving up a separate stylesheet for each device, but it still uses the standard practice of detecting the user’s device first. Responsive web design is a method or an approach where a designer creates a web page which resizes itself according to the type of device it is seen through. In this method, development and design respond based on the user’s behavior and environment. The practice consists of a mix of images, flexible grids, and layouts and a smart use of CSS media queries. As the user moves from their laptop to iPhone, the website should immediately switch to accommodate for image size, resolution and scripting abilities. Basically, the website should have the technology to respond, automatically to the user’s preferences. This removes the need to design and develop differently for each new gadget on the market. The point of responsive design is to have one site, but with different elements which when viewed on devices of different sizes, respond differently. Let’s take a traditionally fixed website, which when viewed on a smaller tablet, might compel you to scroll horizontally, or certain elements might be hidden from view or they may look distorted, in other words, things users don’t like. The impact is further complicated since many tablets can be viewed either in landscape mode or portrait orientation. Websites can be even more of a challenge to navigate on a tiny smartphone screen. Sites could be slow to load, and large images may break the layout on smartphones if they are heavy on graphics. Now, the tablet version might automatically adjust to display just two columns, if a site uses responsive design. This way, the content is readable and easy to navigate. On a smartphone, the content, perhaps stacked vertically, might appear as a single column. Or maybe the user is given the ability to swipe over to view other columns. Rather than getting cut off or distorting the layout, images resize. Simply put, with responsive design, the website automatically adjusts based on the device the viewer sees it in. Responsive sites use fluid grids. Rather than pixels, all page elements are sized by proportion. So if you have three columns, you would define how wide they should be in relation to the other columns, rather than how wide each should be. Media, as in, images are resized relatively too, this way an image can stay within its column or relative design element. 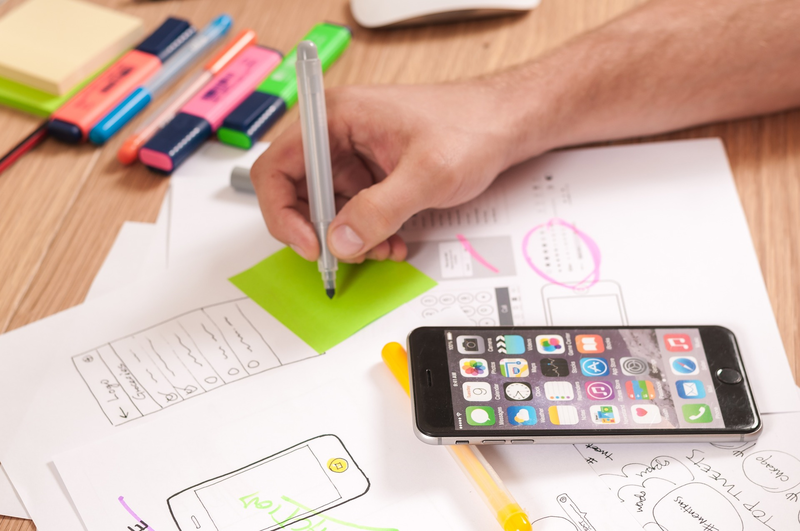 In an ideal situation, all developers would come with extra hands and the extra time necessary to build a separate site, completely optimized for mobile devices. For those of us who aren’t Google or Facebook, we need to find the best way, one without piling on huge amounts of labor, to give users an optimized experience. The biggest advantage of using responsive design for developers comes down to how much time and effort you save. Responsive design means, for back-end developers, there’s only one version of the site to be updated. All the content could go in the same place, and the entire project becomes a lot simpler. For front end developers, the process is almost certainly a better choice than creating multiple stylesheets, although there can be a lot of work involved to make a slick, responsive design. Imagine all of your CSS code in a single place and no need for multiple edits for a single tweak. It’s debatable whether this is a good reason to avoid responsive design, but as a general point, it is valid. You won’t find any load-time benefit for the user. Even if a user, because they’re using a smartphone, doesn’t see all the site’s elements, it doesn’t mean those elements were not loaded in the background. Fluid images, images which scale to fit the screen size probably pose the biggest issue for load-time. The process of resizing the image files for display on tablet or smartphone, once you download the image files sized for desktops can put pressure on the limited power of mobile devices. Some mobile browsers don’t support media queries. This is mostly a temporary problem, regular mobile OS updates and the growing popularity of responsive design is fixing this issue. For the moment, though, it may be something worth considering. Why do you need to switch to Responsive Web Design? Check your traffic, most of your visitors must be getting to your website through mobile devices. 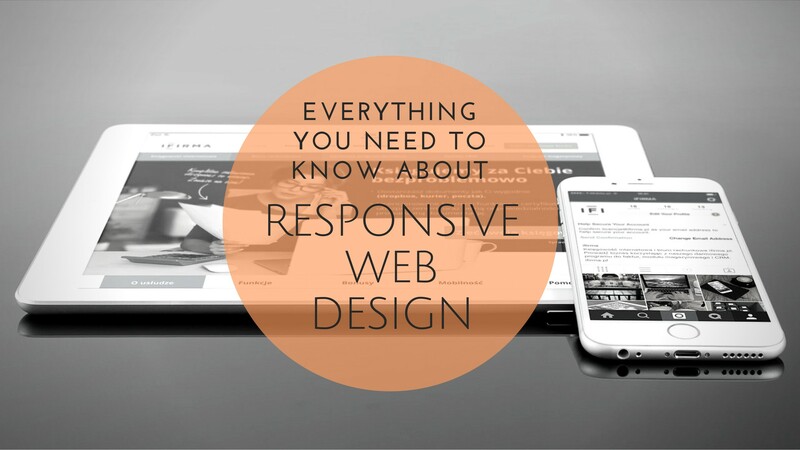 Responsive web design isn’t meant to be the ultimate savior, protecting you from the ever-changing mobile world. Responsive web design is a concept, which when implemented the right way can improve the user experience, but not completely solve all the problems faced by your users. For that, we’ll need to constantly work with new resolutions, devices, and technologies to continuously improve the user experience as technology keeps evolving. Besides saving us from a lot of frustration, responsive web design also works for the user. We can build custom solutions for a wider range of users, on a broader range of devices using responsive web design, and every custom solution makes for a better user experience. A website can be tailored for someone on an old laptop or device, as well as it can be tailored for the vast majority of people using the gadgets currently trending, and likewise as much for the handful of users who own the most advanced gadgets today and in the years to come. In this way, responsive web design allows a great custom experience for everyone. As web designers, this is something we always strive to achieve. This story is published in The Startup, Medium’s largest entrepreneurship publication followed by 294,522+ people. VP of Marketing at Zibtek. I help top startups and companies build remarkable web, mobile and tablet products.